Annie Dillard and the Word Made Flesh engages two of Dillard’s most defining characteristics: her belief in the power of language and her Christian faith. As a writer, Dillard particularly identifies with Christ’s designation as the Word. 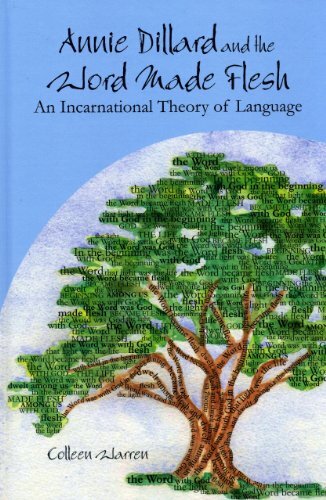 This incarnational concept of language has four distinct aspects. First, because of her belief in the incarnate Word, Dillard believes that the incarnate world speaks a spiritual language. Second, just as Christ physically embodied the spiritual, Dillard believes that the spiritual realm continues to be real and substantial, not ephemeral or abstract. Third, because Christ as Word imbued the world with meaning, Dillard believes that language has a particular capacity to express and create meaning. Finally, because Christ demonstrated sacrifice, so Dillard believes that the writer must adopt a similarly sacrificial role, depleting herself for the sake of the work. If you have any questions about this product by Lehigh University Press, contact us by completing and submitting the form below. If you are looking for a specif part number, please include it with your message.